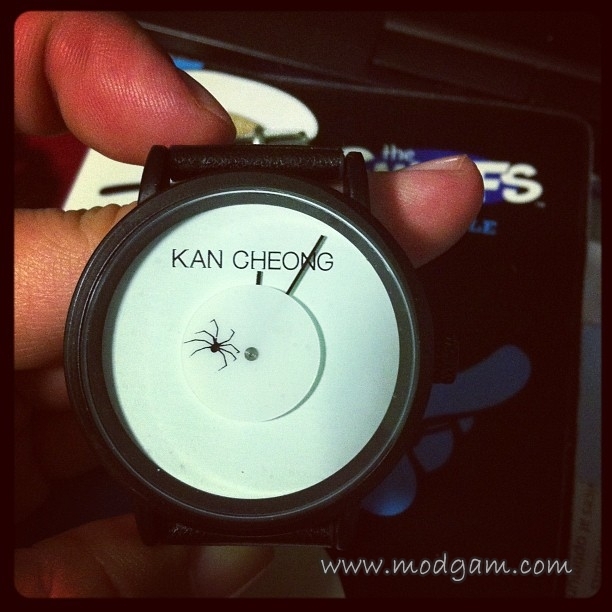 Kan Cheong Spider Watch! This is a colloquial term of Hokkien origin used by many Singaporeans whom many of us are familiar with. This is use to describe a person who is always anxious and constantly on their toe. One super fun item to have. ‘Choi! 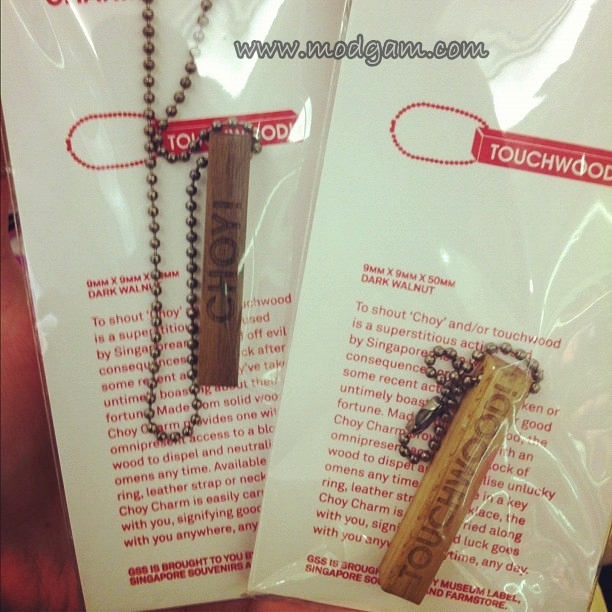 Touchwood!” is a phrase you’ll commonly hear in Singapore. Like in many cultures, Singaporean Chinese believe that to touch wood (or to knock on wood) will chase away and prevent bad luck. ‘Choi’ is a colloquial term of Cantonese origin with the same meaning. I bought this Chapalang bag! 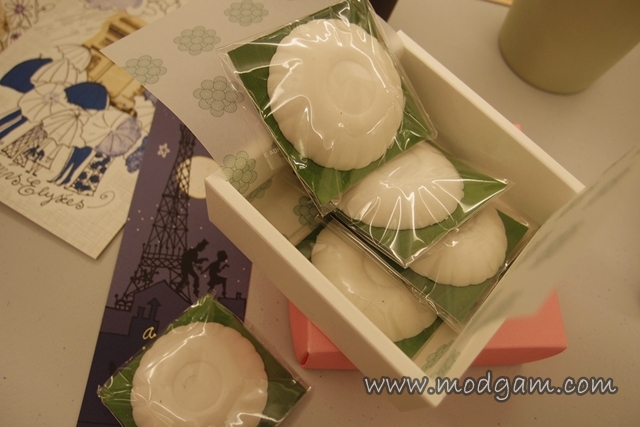 Chapalang is a Singaporean slang for a collection of mixture of random things. 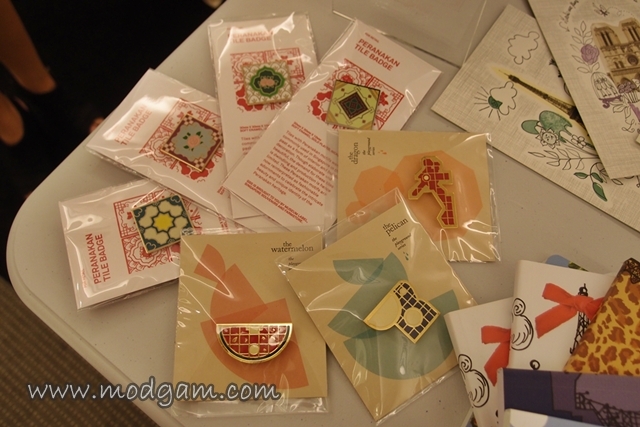 As you can tell from the bag prints, there is indeed a mixture of mostly found items in a Singaporean bag! Bak Chang Five Stones! Very creative packaging! 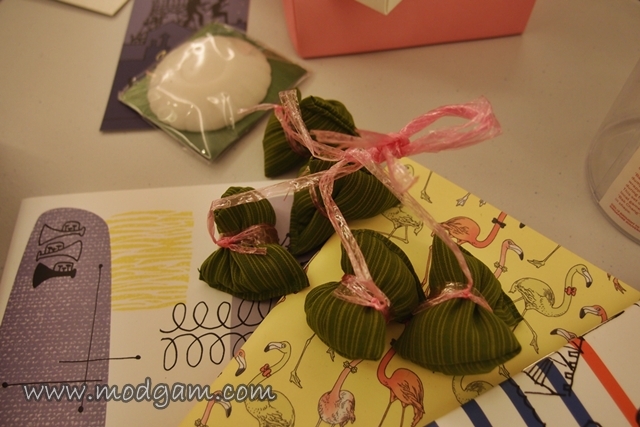 Five stones is a childhood game most of us are familiar with and here they are being tied to look like dumpling. Kueh Tutu is a traditional Singaporean delicacy. Made primarily with rice flour or glutinous rice flour, the light snack contains either ground peanut and sugar or coconut. This looks exactly like the real thing except this is not edible and is an eraser. I love the quirkiness and kookiness of the style, it’s so much more fun but still smart. It’s much better than the sleek professional/conservative looks you get in the city of London – so boring and snobby.